The Galaxy in your hands ! 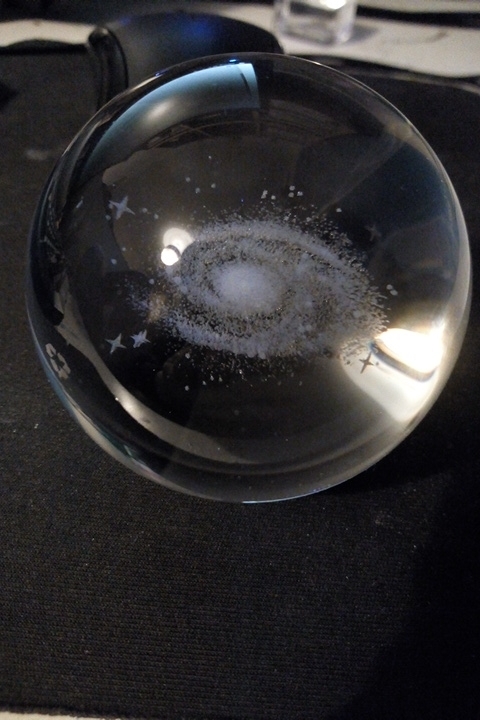 Starting with a fine K9 Crystal ball for excellent transparency and glossiness and using advanced 3D Laser Engraving Technology, here you have a detailed galaxy captured for your enjoyment. Great for decoration, he looks at the photo however some nicer looking through the black background. Ball arrived safely, was well packed in foam. Beautiful garbage, especially if you add to it a special stand with light.